The modern man…relishes a lie, but it must not be too big; it must be so small that, although he knows in his inmost soul that it is not true, he can yet make himself believe it is not false. Most of us have cherished a pleasant waking dream, and fondly clung to sweet delusion while we really knew that it was not life.—Clarence Darrow, 1893. The subject is not, however, about lying, at least not verbally. 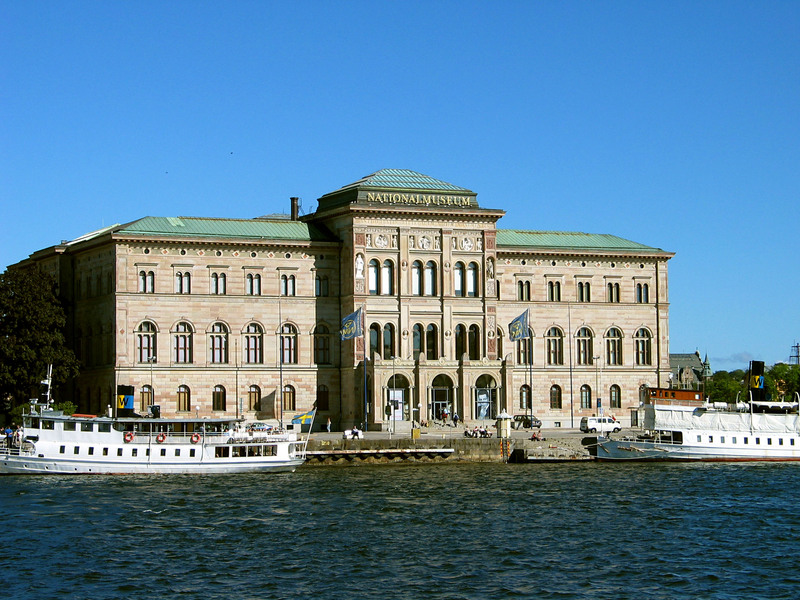 There are many and very interesting exhibitions everywhere in Stockholm, this time at the National Museum. I had a free afternoon and remembered the museum was currently featuring “The Deluded Eye,” or Lura ögat in Swedish. Even if I didn’t know it was about art, the title alone is intriguing. So, for an hour or so I immersed myself in the world of trompe l’œil, French for deceiving, or tricking the eye. 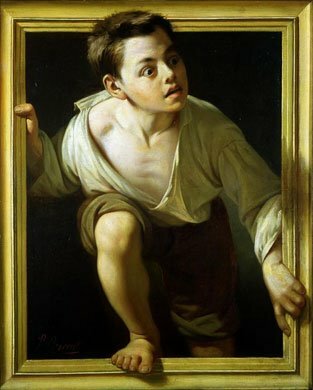 The image to the right is of a painting by the Spanish Pere Borrell del Caso, named Escapando de la crítica (Escaping criticism) (1874). This painting seems to be the quintessential example of the form, in that both museums used this image to represent their respective exhibitions. It is also on the cover of the companion book I bought in the Museum’s lobby. “One of the earliest examples (of trompe l’œil) was recorded by the Roman author Pliny the elder (d. 79 A.D.). His Naturalis Historia offers a description of how the artist Zeuxis, active around 400 B.C., depicted grapes so realistically that birds came flying down from the skies to peck at them.” (From the exhibit’s book for sale, published by the National Museum). You can easily find many examples of art works in this genre on the Internet by telling your search engine to look for “trompe l’œil”. (Note that the unusual character “œ” is the contraction of the letters “o” and “e”). I will, therefore, not give too many more examples here. My purpose is to introduce the subject. 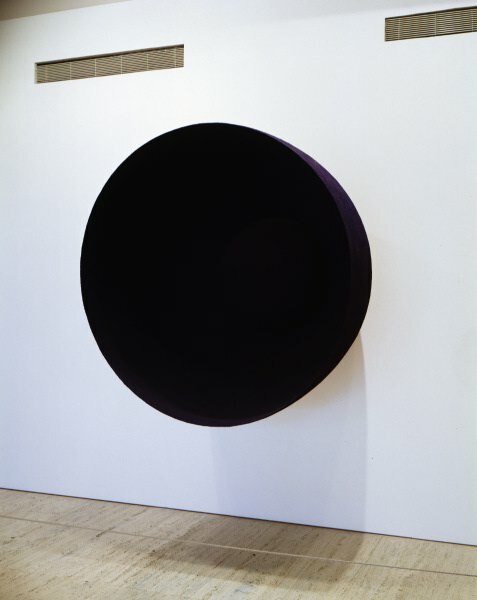 A work I found quite fascinating, and wished there had been no people around so I could have more fully appreciated it, was “Void,” by Anish Kapoor. Another installation, too crowded with people for me to see how the artist could have executed such an illusion, was “1:1” by Christian Andersson. 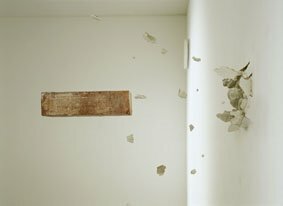 If it isn’t clear from the above image, the illusion is of a brick have flown through a wall into the viewing space and frozen in mid-journey. These images don’t offer you the perspective of the form’s origin and development, so I encourage you to look for this on the Internet, as I suggest above. NOTE: In any such exhibition of art, one is not allowed to take pictures of the art, nor reproduce pictures in the exhibition’s companion book which one can buy in the museum’s gift shop. 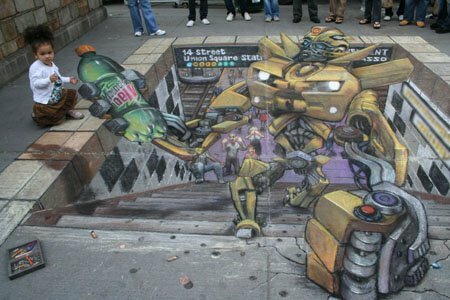 So, I have taken the images presented here from the Internet. I don’t know if I have violated any rights or laws or customs in doing so, and hope the informed reader of this journal will let me know where I may have erred. This entry was posted in History, The Arts and tagged Anish Kapoor, Christian Andersson, Clarence Darrow, Julian Beever, National Gallery of Art, Pere Borrell del Caso, Pliny the Elder, Sweden's National Museum, Trompe-l'œil, Zeuxis. Bookmark the permalink.